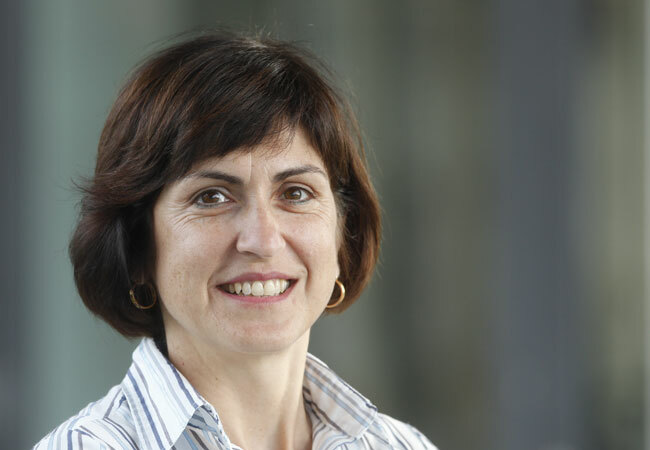 Professor Maria Roser Valenti has been elected as a fellow of the American Physical Society (APS) in the „Division of Computational Physics“. She was awarded this high distinction for her contribution to the microscopic understanding of electronically strongly correlated materials, which include high-temperature superconductors. To access these highly complex materials she uses a combination of various theoretical approaches. Maria Roser Valenti studied Physics at the University of Barcelona and gained her doctorate in 1989. From 1990 to 1991 she was a post-doctoral researcher at the University of Florida in Gainesville. She then became a research associate at TU Dortmund University where in 1997 she began her habilitation with a grant from the German Research Foundation (DFG – Deutsche Forschungsgemeinschaft). In 1999 she moved to Saarland University and completed her habilitation one year later. In 2002 she was awarded one of the prestigious Heisenberg scholarships of the German Research Foundation, which prepares early career researchers for a long-term professorship. In 2003 she became professor at the Institute of Theoretical Physics of Goethe University Frankfurt. From 2009 to 2012, the mother of three children was vice-president of Goethe University. Her research work focuses on the quantum mechanics of materials. She develops theoretical methods to describe unconventional superconductivity, frustrated magnetism, exotic spin liquids or systems with phases with non-trivial topology, among others. With over 50.000 members worldwide, the APS is the second largest association for physicists. (The largest is the German Physical Society (DPG – Deutsche Physikalische Gesellschaft)). The APS was founded in 1899 with the goal of advancing the knowledge of physics and fostering the next generation of researchers. It is regarded as a great honour to be elected as a fellow. Only those researchers are taken into consideration who have made a significant contribution to basic research or contributed substantially to the development of scientific or technical applications.